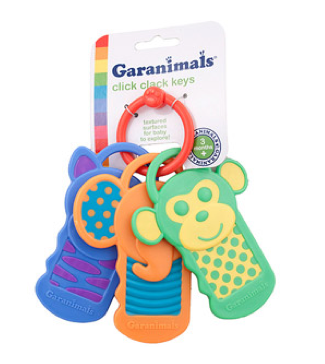 Garanimals Click Clack Teething Keys for Baby Only $2 + FREE Store Pick Up! You are here: Home / Great Deals / Garanimals Click Clack Teething Keys for Baby Only $2 + FREE Store Pick Up! Here’s a cute deal for your little teether! Right now, you can get this Garanimals Click Clack Teething Keys for Baby only $2 + FREE Store Pick Up when you select Site-to-Store Shipping!